Tyrel Cody had the most liked content! 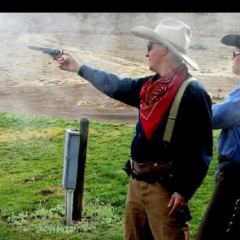 God, Family, Country, Cowboy Action Shooting. Hey @Shaddai Vaquero, SASS #69779 what Tim will the RO class be? 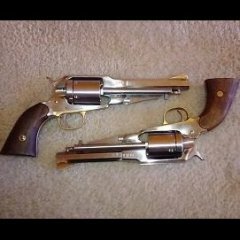 Pass a hint along that they need to make a .32 Wrangler as well. Welcome to the best game there is. Get yourself to a match before buying anything else. Welcome to the best game there is. Take what you have and go to a match and shoot. Let the MD know before you get there and I'm sure someone will have a shotgun you can use, and probably help you locate one to buy. Any update on the time of the RO1 class? I'd like a refresher, but I don't think I can get there before noon on Thursday. https://www.etsy.com/listing/604879132/2-black-cotton-webbing-bag-straps?ga_order=most_relevant&ga_search_type=all&ga_view_type=gallery&ga_search_query=2+inch+canvas+webbing&ref=sr_gallery-1-9&organic_search_click=1 Make one or have it made. I would imagine it would be pretty simple for one of our leather makers to find some 2" wide black canvas material and make you a belt. I know when I've searched for wide canvas before black is pretty easy to locate.